Slinky makes it easy to build a wardrobe around classic foundation pieces that never go out of style. 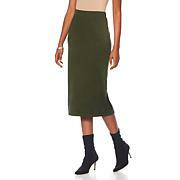 This A-line skirt is just that. Create a range of looks by pairing it with different tops and jackets and be pleasantly surprised by various styling possibilities. I absolutely love Slinky brand! I can order new pieces to match back with others. This skirt is so versatile and comfy! Thank you. I ordered the black in a large and it fits great. 5'6" and 150. 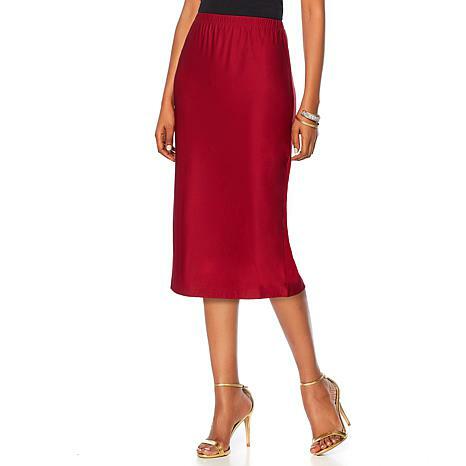 This skirt is the perfect fit and length, true to size.